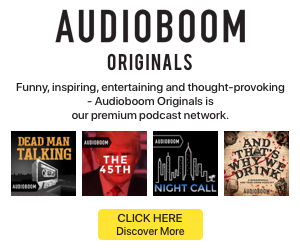 Podtrac has released its list of the top podcast publishers from August 2018. The ten companies making the list are the same as the ones from the July ranker. NPR took another month at the top, while many of the other publishers shuffled positions from the month prior. 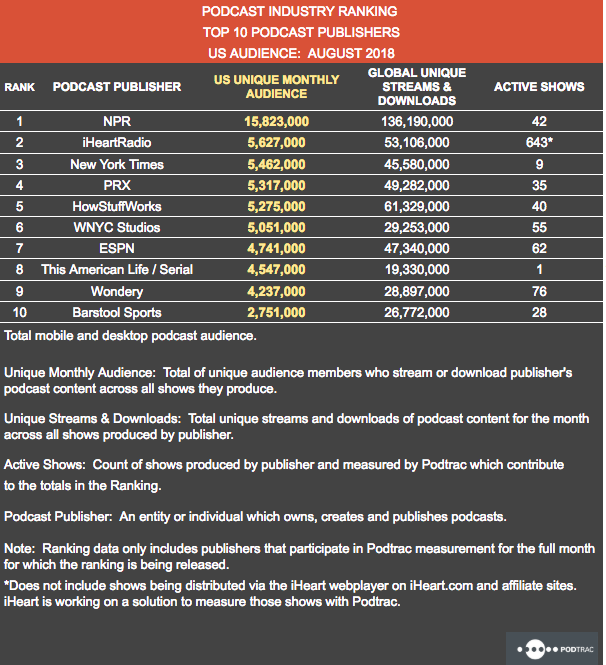 The chart only includes publishers that participate in Podtrac’s measurement and analytics systems for the full month. Among those top publishers, total global downloads rose 7% from July to August. On-year, total global downloads spiked up 48%.